Happy Sunday! Enjoy the weekend while it lasts. Today I decided to share with you my current skincare regiment. But before I start talking about any product, I must say that skincare is truly a journey. And a very long one! We all start by not knowing anything about our skin. At a certain point, we think we know our skin type, what it needs and we decide and choose products we think are what suits us. 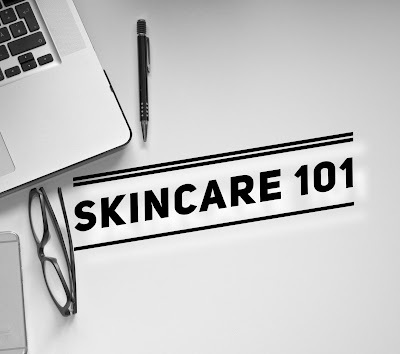 No matter what your age is and what your skincare history is, it is never too late to start taking care of your skin. Skin is the largest organ of our bodies and yet we care less! Your skin is the first and most efficient shield to protect your inner organs, your general health from the various external aggressions. So don't wait for trouble to become aware of the importance of a good skincare! The most important thing to start with is to know what your skin type is. We all have a personal opinion about it but it is certainly not enough! By that I mean that you might be sure that your skin type is dry while it is oily or the other way around. Having a wrong idea of what your skin type is could be a huge waste of time and money but more importantly, it could have been making your skin condition worse and worse during all that time while you were thinking of doing it good. So start by consulting a dermatologist! Men and women working in department stores and skincare brand shops are definitely not dermatologists. All of them are just trying to sell products and that is okay. That is their job: selling products, not dermatologists. It is quite easy to be fooled. I have been fooled! Forehead patches that shows what your skin type is?! No matter how smart you think you are, there will always be someone smart enough to make you buy. Dermatologists are trained to look at skin, to differentiate between skin type and to recognise all kind of skin conditions. They are doctors so you should feel safe and trust their medical opinion about your skin. They might even suggest products to use or to avoid. The basic routine I think everyone should have is a morning and an evening routine. It is very important to shield your skin to face the day and, in the evening, get rid of all the accumulated junk. This is the bare minimum of a skincare routine! Cleanse your skin with a gentle cleanser and please: no soap! You do not want to strip your skin from the good it naturally has. Leave the soap for the rest of your body where your skin is thicker and less fragile. Or do not use any soap anywhere and you will be on the safe side at all times. Why cleansing? You need to cleanse your skin from all the make-up residues, the dust, the pollution, all kind of impurities that sits on the surface of your skin and can possibly damage it. Use a toner! A toner finishes the cleansing step, making sure your skin is clean. A toner also brings back a pH balance which could have been disturbed by your cleanser. There are a ton of different kind of products on the market but the main categories are hydrating toners, smoothing and calming toners, and astringent toners. Choosing the right one can possibly make a huge difference in your skin condition but it can also make it worse. You know your skin type because you trust your dermatologist and you know what are your main skin concerns. So choose consciously! Last but not least: hydrate your skin! No matter what is your skin type, you need to moisturise. Yes, even oily skin! Moisturising is obvious when your skin type is dry. Your skin feels uncomfortable and you know you need it. But when your skin is oily, you tend to think that you are going to make it worse by adding moisture. It is actually the opposite. Your skin is oily and produces more sebum because it consistently signalled that more moisture is needed. So if you add moisture, you are signalling your skin that it does not need to produce more moisture any more. Those are the major and most important steps for a bare minimal skincare routine. We are all on the learning path and we all start at different levels. And that's okay! What matters is that "we all make it". I hope this post is helpful. If you have any further question, please do not hesitate to leave it in the comment section and I will try to answer the best way I can.